I can’t believe that it is another week coming to an end. As I sit here and write this, I’m thinking back on the week and it was so full! The week started for me with busy shifts at work last weekend, then Monday started off in the sun at the beach with the kids and my parents. Tuesday and Wednesday, we found ourselves wandering in the sun, cloud and rain (we had it all!) and we took James to school, played at the park and enjoyed friends at Strong Start*. I also had Guild executive on Tuesday night. Thursday was a lovely afternoon at preschool where I was hosted by James at a Mother’s Day Tea. We had tea, then played (yes, he painted my nails) and serenaded by Skinamarinky Dinky Dink. Let me just say, there hasn’t been much time for crafty pursuits! 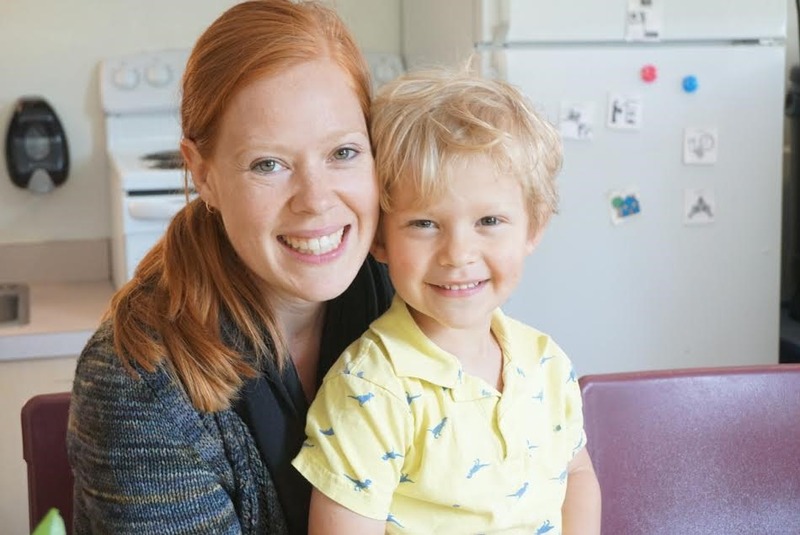 *Strong Start is a program in BC’s public schools for pre-kindergarten to offer a program for kids to go to to build pre-school skills, like socialization and organization. It’s mostly just open play. 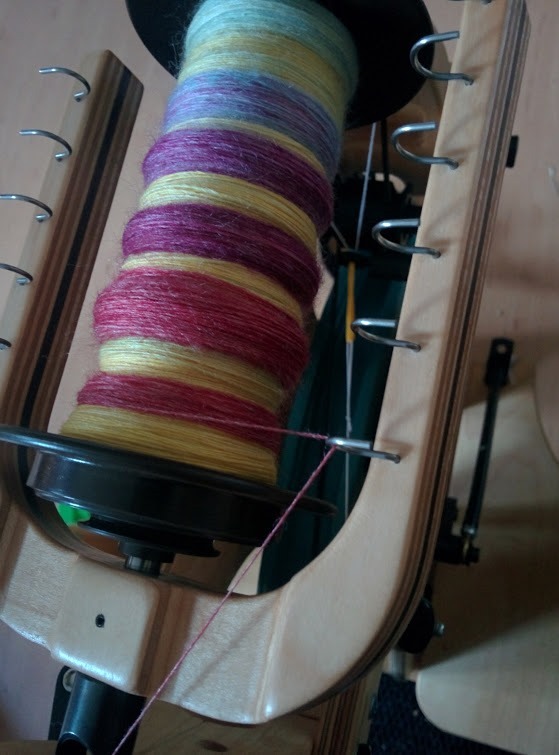 I was able to get on my wheel later this week, though, to start May’s fibre club for Sweet Georgia Yarns. The colours this month are jewel tones and I’ll be spinning it for a specific sock project I have in mind. More on that later in the month! 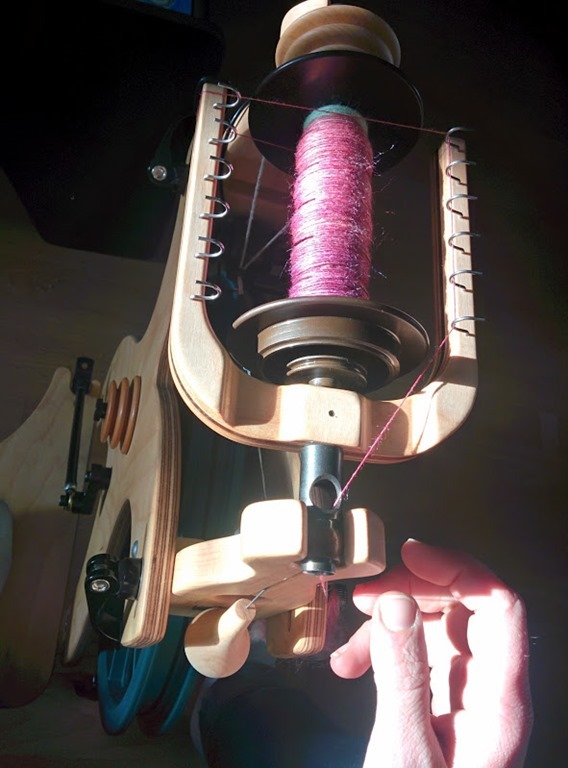 The light in the evenings has been perfect to spin and let me say, I’ve been enjoying it immensely. I have recently been having some tensioning issues with the Sidekick, so I swapped out the factory set up for an elastic band and finer thread. 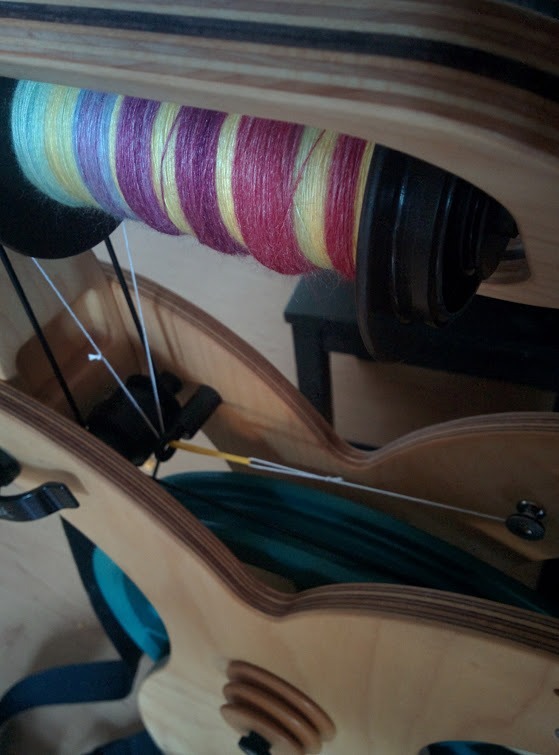 It seems to be working much better as I can now tweak the tension slightly and obtain the results I want. I’m interested to see if I am happier with this yarn in comparison to another braid of Panda I spun recently and felt frustrated with the consistency afterwards. I need to figure out how that lacing of your flyer works. I love the consistency of your spinning, Rachel! I always learn something visiting your blog – thank you so much for that!